We really need one... Ark St, Marshall have IPFs, even UAB and USA have IPFs. "Lindsey smiled when asked if he was glad he moved the scrimmage up an hour from its scheduled 10 a.m. start to 9 a.m. He said the Trojans wanted to run about 100 plays, but didn’t get there before the skies opened up with heavy showers." I’m pretty sure that renovating/improving the Tennis Courts and building an IPF are the next athletic facilities that will be getting attention from our administration. Beyond that, renovating Tine Davis field-house and improvements to the soccer/track complex, along w/ improved facilities for player development at Riddle-Pace Field are also needed. I agree having one would be great, but we still have to pay off that pile of bricks in the NEZ. I bet the Trojan Arena has a balance. I really wonder how Dear Leader is able to pull all this off. I know we all give what we can, but I know there are more alumni that don't give. I have a co-worker that is a Florida campus/Troy online graduate and I try and try to convince him that helping his Alma Mater is a good thing yet he just responds: "Troy already got my money." I don’t, and won’t buy it. 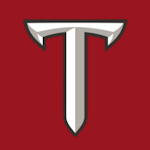 I assume it’s hard to be a die hard Trojan fan if you never attended Troy U - Troy or if you don’t live nearby. I think we need big time success (NY6 bowl) and then people will start giving more. We did the right thing prioritizing all the other projects: New Trojan Arena, NEZ Building, Dining Hall, Dorms, Health Center, etc but now that IPF should be on top of our list, and then we need a waterfall... it’s the next big trend in the SBC. Recruits and fans love waterfalls...gotta have a stadium waterfall. The misunderstanding that those alumni have is that a recognizable degree holds more value than a non-recognizable. My wife is in HR and she says it does matter where someone went to school. Help your school and help yourself. I don’t think we need a waterfall aspect. However I am sure we just need more COWBELL (and no I am not talking MSU) I got a fever for us to move ahead and it can only be treated with Cowbell! Once that is accomplished we will pass out Medium Size T-shirts for all and cowbells for us to play along with the band. Tennis complex hasn't been renovated. It hasn't had any sort of serious renovation since it was first built in 2001. The only thing they've done is re-surface the courts, which is a normal thing they do every one or two years. Troy has a nice tennis complex compared to many D1 universities, but it's definitely not up to standards with some of the better Sun Belt and Mid-Major programs out there. The tennis facility building MIGHT be 500 sq. ft... which is WAY too small for 25 players from the men's and women's teams. Schools like USA, Coastal, FAU, MTSU, and Georgia Southern have nice, big LED Daktronics scoreboards and good size facilities. Most of them also have small, but nice built-in bleachers (unlike the high school-looking aluminum ones Troy has out that have caster wheels on them). Just a matter of prioritizing limited resources. We could have a Forest Hills/Wimbledon Tennis complex if you have the wallet!! Sir. This is the football forum. Badminton needs to be discussed elsewhere. Need to renovate the rest of VMS, it’s a dump. Can’t even get half decent food, bathroom look and smell like prison, etc. Upon further review and thought, IF the existing soccer/track complex could site an IPF, we might have a multifunctional asset, pros and cons to that site though.